In 2016 46elks decided to implement Mondido as a fallback payment gateway. We did know about them from the SUP46 community. They were unable to prevent the majority of payments with stolen cards and we had to cover the cost of sent messages with stolen credits by refunding the payments. The payment reports for the book-keeping where very hard to handle resulting in lots of work for the book-keeper. The primary gateway needed a complex SDK to work in a simple way. During an error with an update of the SDK, we did an emergency switch to Mondido. Since the switch we have been using Mondido, and we are very happy with that. The 3D Secure ( Verified by Visa , MastercardⓇSecureCode™ , American Express SafekeyⓇ , and JCB J/Secure™ ) provides the safety we need, since the number of stolen cards is reduced close to zero, and even when there is a stolen card we do not have to cover the cost. For us stolen cards are extra problematic since the messages sent are often phishing SMS or spam. This could have caused the operators to block our connection to the telecom network in the long run. With the original gateway we did have one contract that included PSP and card acquirer in one, this was easy to get but left us with very little control. The acquirer we have with Mondido does allow us to negotiate the contract for example the number of days we have to wait for the money. And the acquirer ( Teller ) is huge and even if we had to wait for the payment for twenty days, (in reality we wait for as short as two days) the economic risk is close to zero. Teller also gives simple reports for book keeping. This saves us at least 4 hours of bookkeeping monthly. When we decided to check the price details for Mondido we noticed that the price was extremely appealing. Even better than our primary gateway. Mindido does give different price levels for expensive cards like AMEX (1,9%-3%) and low cost for cards like Visa/Mastercard ( 1,89% ), instead of giving a high start cost percentage for all cards. Only our Backend can initiate a payment process by issuing a payment order-ID. This way even payments failing anywhere in the process can be tracked and completed. This way we can follow failed attempts thus identify and block fraudulent accounts. We never store the card details not even a token. The data is sent directly from the page to the Mondido backend. Even for the stored cards we can just query Mondido for the token when needed, all we need to do is keep a secure API password. SSL with Extended Validation is used by Mondido, this can be used by payment window to ensure the user that the card details are handled by Mondido, if needed. Or you may even have a sales page with http (I do not recommend it but you could) or have a page with Let’s Encrypt for the page and hosted window for the payments. It was simple to implement the API, there were SDK s available but using our own framework was equally simple. The API is closely integrated with our system and therefore it is a low amount for code and in turn less bugs. The endpoints are easy to understand. However one thing that was hard to understand was how to use the the filter functionality when querying data from the API. We do supply our user id to the payment, this makes it easy to follow payments for a single user as well as a simple way to verify payments. When we created the integration we did think that this was a problem because adding the customer ID required 10-20 lines of extra code. But we are very happy that we did implement it because the benefits are worth it! It is possible to skip this by simply using the same ID all the time, but don´t, you would probably regret it. <input class="storecard" type="checkbox" name="store_card" value="true">Store my card for future payments. The card is stored on the user ID and can be accessed and used in the API. One benefit we have not completely taken an advantage of is that there is a JS and a hosted page option for payment, this means that we could offer SMS payment for example by simply sending a link to a hosted payment in Mondido. We are only using the JS version this is great for giving the user the on page experience. But what is great with the in hosted page is that you can change everything on it. We have not used these options to a huge extent, but I'm sure there is lots of innovation to be done with these options. Mondido is based in EU (Sweden) and understands that not all is about Credit Cards, so they also offer invoice payment, etc. They also support local payment methods like Swish. This is very interesting for us since it lowers the barrier to get started with our platform. The payments from countries around the world work great as well. We were not sure that this would be the case. But our worries were proven wrong and international credit cards have been working very well. We help you convert more visitors into paying customers. Increase Sales and lower your costs with Mondido. Mondido offers card fees of 1,89 SEK + 1.89% per payment. Mondido allows you to adapt your user experience in every detail. 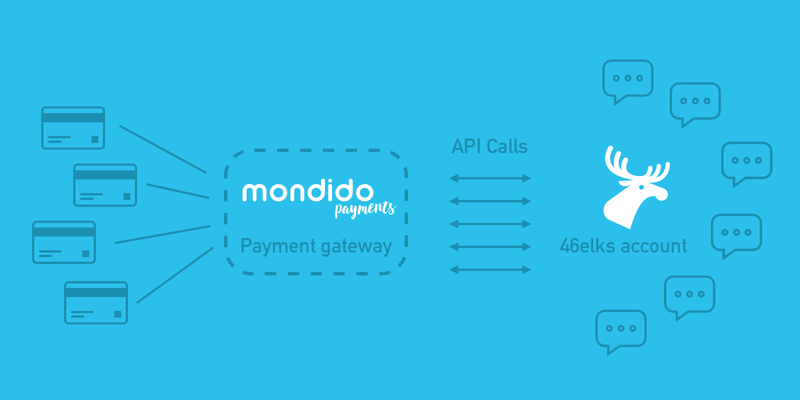 Mondido is simple to implement, keeping the integration cost low. Mondido does not have a “one size fits all” contract but a base one that is adapted to the customer needs along the way.